Criminal Law: Can Ohio police search my car without my consent? April 13, 2012 /in Criminal Law, Other Law Topics, Top 10 videos of 2018 /by Daryle C. Tibbs Esq. Criminal Law: Can Ohio Police search my care without my consent? Top 10 Videos of 2018: #5 With 159 views during 2018, this video was the fifth most watched video of 2018.
https://tibbslawoffice.com/wp-content/uploads/2011/07/handcuffs-thumbnail-110717.jpg 277 400 Daryle C. Tibbs Esq. https://tibbslawoffice.com/wp-content/uploads/2016/02/logo-300x74.png Daryle C. Tibbs Esq.2012-04-13 08:00:002019-01-06 14:02:24Criminal Law: Can Ohio police search my car without my consent? Criminal Law: Can Ohio police stop me and search me on the street for no apparent reason? April 6, 2012 /in Criminal Law, Other Law Topics /by Daryle C. Tibbs Esq. Daryle C. Tibbs, owner of Tibbs Law Office, continues a new series dedicated to the topic of Criminal Law. 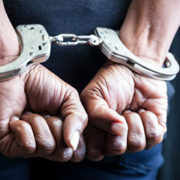 https://tibbslawoffice.com/wp-content/uploads/2011/07/handcuffs-thumbnail-110717.jpg 277 400 Daryle C. Tibbs Esq. https://tibbslawoffice.com/wp-content/uploads/2016/02/logo-300x74.png Daryle C. Tibbs Esq.2012-04-06 08:00:002019-01-06 12:14:03Criminal Law: Can Ohio police stop me and search me on the street for no apparent reason?